Lexmark X4650 All-in-One is an advanced and versatile printer that will let you obtain high quality prints from virtually anywhere in your home over a secured WI-fi network. This great printer will let you easily copy, print, scan and share your photos and documents. It is able to print documents fast, ensuring speeds of maximum 25 ppm for black and white and 18 ppm for color prints. The printer is simple to use, allowing you to copy photos and documents with the touch of a button. 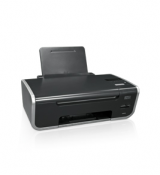 Lexmark X4650 All-in-One also features a 36-bit flatbed scanner that allows you to easily scan photos and documents. The printer also allows you to print borderless photos directly from USB drive, memory card or PictBridge. Lexmark X4650 All-in-One Driver has been tested by Download82.com team against viruses, spyware, adware, trojan, backdoors and was found to be 100% clean. Our editors will recheck this software periodically to assure that it remains clean.